Get ready to have your mind completely blown – because this compilation is one of those completely rare ear-opening experiences that will let you know that there's a hell of a lot of music in the world that you've never heard before – even if, like us, you've heard plenty of funky music over the years! The grooves here definitely live up to the title – as they're completely funky throughout, and in ways that are plenty appealing to fans of Anglo funk, but which have all the Mideast touches you'd expect in the instrumentation – a mad mix of east and west, sacred and secular, with the kind of completely unique vibe that will grab you like the first time you heard Ethiopian soul or Turkish rock! We'd honestly never heard most of this music before – and even though we've dug previous releases on the Habibi Funk label, this namesake set is the moment when they really knock it out of the park, and let us know that they're on to something completely brilliant. 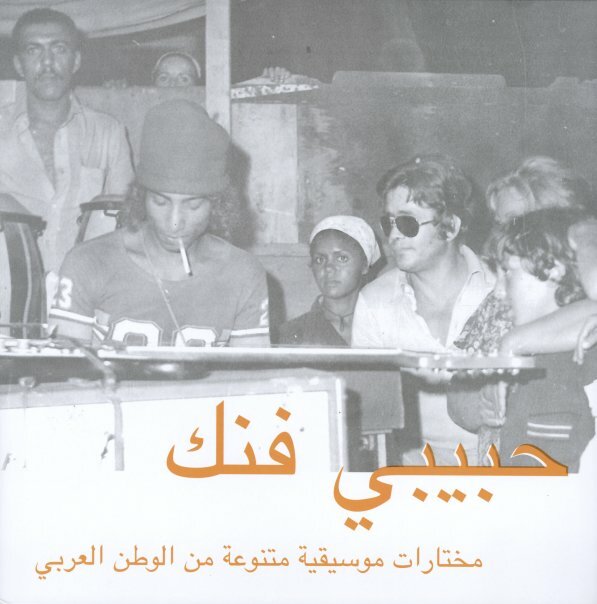 Comes with a great set of note, which help the uninitiated like us – and titles include "Casablanca Shuffle" by Belbao, "Wang Dang" by Bob Destiny, "Bsslama Hbibti" by Fadoul, "Sah" by Al Massrieen, "Soul Brother" by Dalton, "Al Asafir" by Kamal Keila, "Rouhi Ya Hafida" by Mallek Mohamed, "La Coladera" by Freh Khodja, "Tape 19.11" by Ahmed Malek, "Ayonha" by Hamid El Shaeri, and "Games" by Samir & Abboud. © 1996-2019, Dusty Groove, Inc.